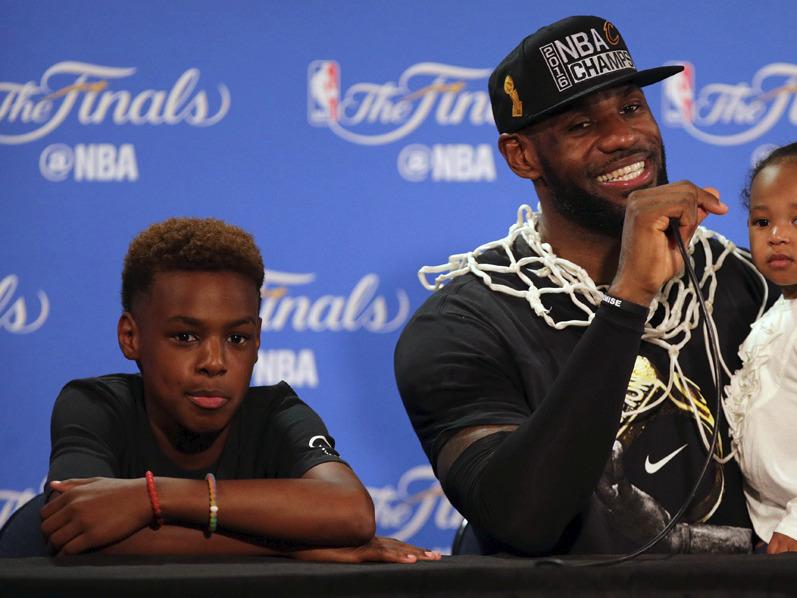 There is a lot of well-deserved attention coming LeBron James’ way, and that now includes his family, including his son, LeBron James Jr. (a.k.a. “Bronny). James Jr. has been attracting a lot of attention for his skills on the basketball court. In fact, the attention has been so great that ESPN’s Brian Windhorst reports that a source told him that “Bronny” has already received scholarship offers from two of the biggest college basketball programs in the country: Duke and Kentucky. So what’s the big deal about this? Simply put, LeBron James Jr. is just 11 years old, and many people have argued that he’s too young to be scouted. One person who’s weighed in on this is his father, LeBron James, who last year said, “It’s pretty crazy. It should be a violation. You shouldn’t be recruiting 10-year-old kids.” Admittedly, it’s easy to understand why these colleges are so intrigued by LeBron James Jr., given the way he plays. It should also be noted that there is a chance these schools are not only offering a scholarship to somebody who is still 7-8 years away from graduating college, but there is also a chance James Jr. will only play one year.